Sign-up and receive Property Email Alerts of Residential Estates in The Sandown, Bloubergstrand. The Sandown, is situated on College Avenue in Sandown, Cape Town. Close to the Table View beachfront with its breath-taking view of Table mountain and near to Bloubergstrand, The Sandown is surrounded by phenomenal shopping centres, restaurants and coffee shops. Within walking distance of the area's top private schools, The Sandown is ideal for first time home buyers, young couples and small families, or as a holiday home investment or rental investment. 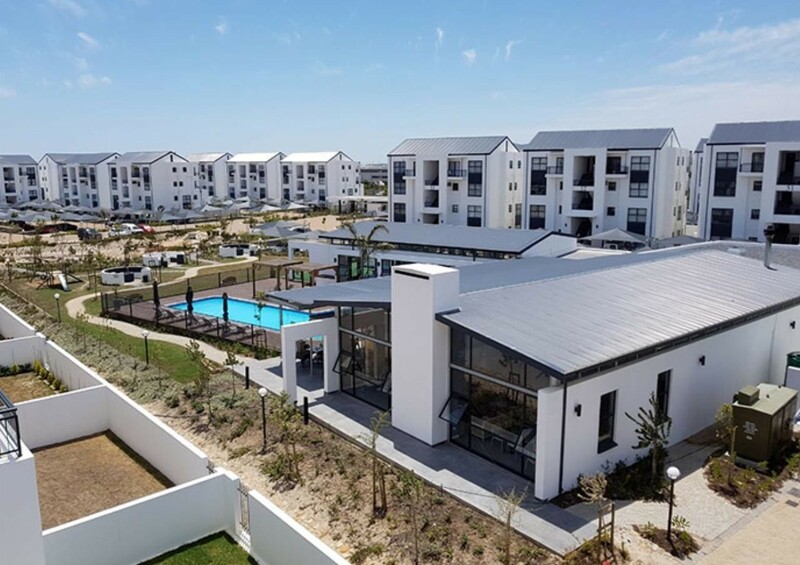 The Sandown's one, two and three bedroom apartments offer spacious living with exceptional finishes, plus access to a world-class, on-site Lifestyle Centre with a wide range of leisure, entertainment and sporting facilities.